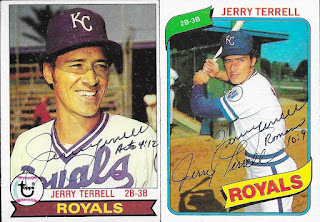 These cards came back signed from Jerry Terrell recently, and I was pretty pleased with the results. I was able to get a 1975 Topps signed (above). He signed the cards with a ballpoint pen, but the signature still turned out well. 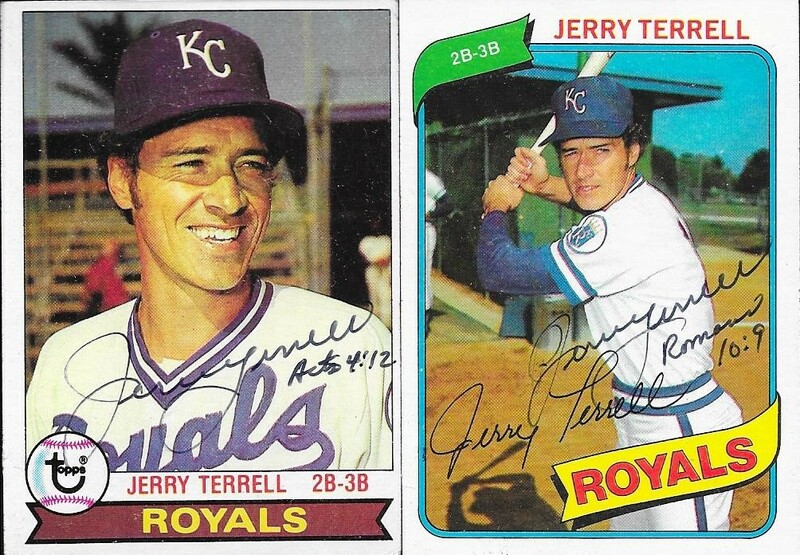 I also got a 1979 and a 1980 Topps signed by Terrell. He inscribed each card with a bible verse, which was a nice touch. Terrell (b. 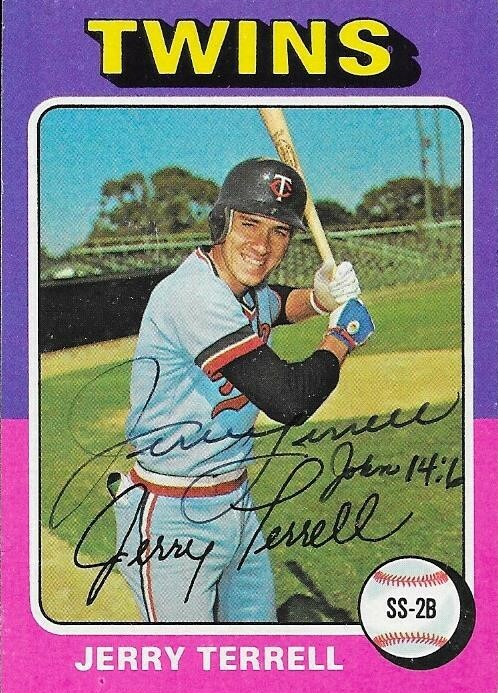 1946) played in the majors from 1973 to 1980 for the Twins and Royals. He had 412 hits, 4 home runs and a .253 batting average. I mailed to Terrell on January 9 and got the cards back on January 18, for a 9-day TAT.